In a rapidly changing world, it is important to understand how urban environments impact wildlife. 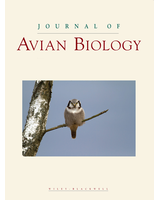 For example, supplementary feeding of birds, though well‐intended, might have unexpected negative effects on the health of individual animals. Sunflower seeds are commonly provided in garden bird feeders, but they contain high levels of linoleic acid (LA), an omega‐6 polyunsaturated fatty acid (PUFA). Omega‐6 PUFAs are associated with increased oxidative stress, which can damage cell membranes, and in particular sperm cells. We assessed the level of LA in the blood of two seed‐eating finch species, greenfinches Chloris chloris and hawfinches Coccothraustes coccothraustes, caught in 2015 and 2017 in environments with direct access to sunflower seed feeders (Norway), and compared these with the level of LA in a smaller number of individuals sampled in 2015 in a rural area with low incidence of sunflower seed feeders (Czech Republic). Furthermore, we investigated the relationship between the proportion of LA in the blood (as well as the proportion of 10 other fatty acids) and sperm quality (the frequency of sperm head abnormalities and sperm swimming speed). We found that both finch species, but particularly greenfinches caught near feeders, exhibited levels of LA that were considerably higher than those previously reported for other wild birds. We also found that the proportion of LA was positively correlated with the frequency of abnormal sperm heads (sperm missing the acrosome), while there was no significant effect of fatty acid composition on sperm swimming speed. Our results indicate that the sperm quality of finches may be negatively affected by a high intake of sunflower seeds, adding to a growing body of research showing that supplementary feeding may have detrimental side effects for urban animals. This is particularly relevant for the greenfinch, which is currently affected by disease and population declines.